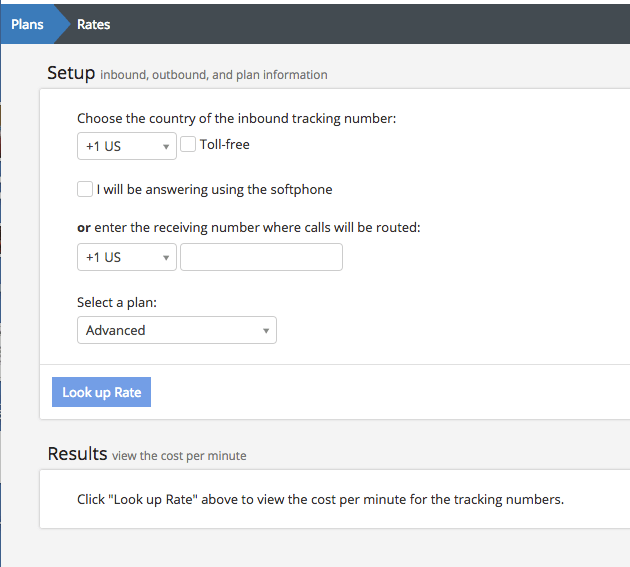 In some situations, forwarding your tracking number to a certain receiving number may impose additional per minute rates beyond the per minute prices listed for your country for your chosen plan. For example, forwarding calls to an Alaskan Receiving Number is more expensive per minute than forwarding them to any other state in the US. You will see notification on the Receiving Numbers page. When adding a new receiving number, you will see the alert as well if there will be any additional fees.